If you have longed to become a life coach, then rest assured that you can easily reach this goal with the help of the life coaching certification program which is now available at Brainmeasures. The life coaching course offered by Brainmeasures is a major help in your attempt to become an expert in the field of helping others improve the way they live their life and earn money through it. What this online certification course offers is a well-detailed life coaching training which gives you the opportunity to learn the many things that you can do to help others lead a happier and more balanced life. With the help of this life coaching certification program from Brainmeasures, you will no longer find it difficult to reach your dream of becoming a life coach and start helping others make some positive changes on themselves as soon as you finally receive your certificate. You can start providing your help to others especially when it comes to embracing the beauty in life and in identifying what can truly make them happy. 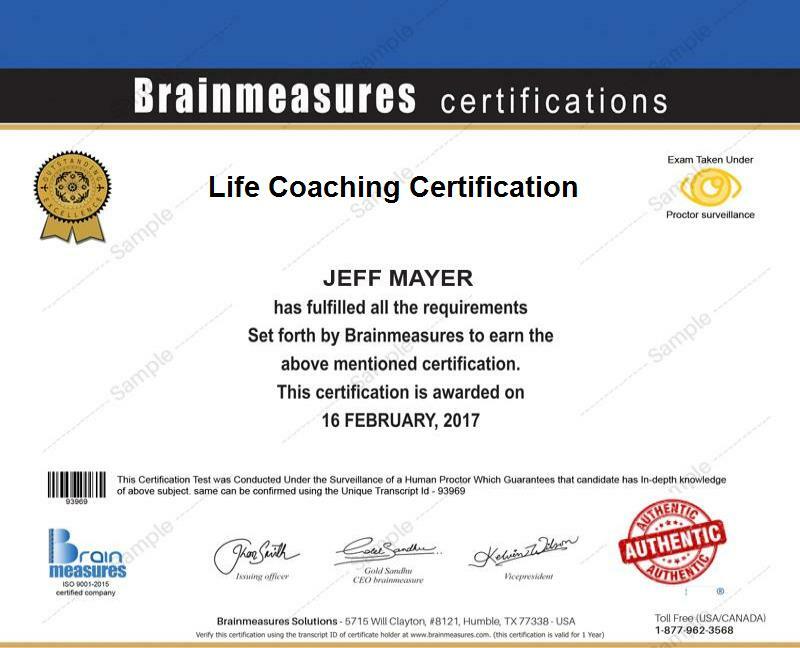 Brainmeasures life coaching certification program aims to help anyone who is greatly interested in making some positive changes in their life through life coaching and any other techniques that are associated to it including NLP, Reiki and hypnosis. It is also beneficial for all individuals and professionals who have a great interest in understanding all the techniques associated to life coaching and how they can use all these to empower others to make some changes on the way they live their lives. As a life coaching certification holder, keep in mind that earning big is never impossible. In fact, most of the life coaching certification holders at present earn around $27,000 to $93,000 annually. Note that you can also work as a life coach and charge your clients on an hourly basis. If you are still a beginner, then you can set your rates at around $40 to $50 per hour. As you gain more experience in the field of life coaching, you can start raising your rate to $100 up to $220 per hour.